LADERA RANCH — Investigators on March 1 announced a new development in the case of Ali Syed, who murdered three Orange County residents and then killed himself on Feb. 19. The Orange County Sheriff’s Department and the OCRCFL (Orange County Regional Computer Forensics Lab) have discovered information in the preliminary computer forensic analysis that might answer some questions regarding the 20-year-old Saddleback College student’s motive. On a desktop computer removed from Syed’s bedroom, a document entitled “Suicide Note” was recovered. It was created on the day of the murders within an hour of the 911 call from the suspect’s residence. Within the note were indications that the events Syed was responsible for were pre-meditated and planned. Although this investigation will continue, to date, Orange County Sheriff’s homicide investigators have not found any prior connection/relationship between Syed and any of his victims. 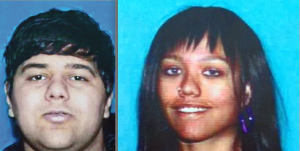 Syed’s first victim, Courtney Aoki, 20, of Buena Park, was shot to death at Syed’s home. His parents, who lived with him, did not recognize her and investigators are still trying to determine why she was there and how she knew the gunman. Sheriff’s investigator Dan Salcedo told City News Service that the two had no prior relationship and said that Aoki’s mother told investigators her daughter did not have a car and relied on others for transportation, which suggests that she was driven to Syed’s home. After killing Aoki, Syed took his family’s SUV and began his shooting spree, authorities said.